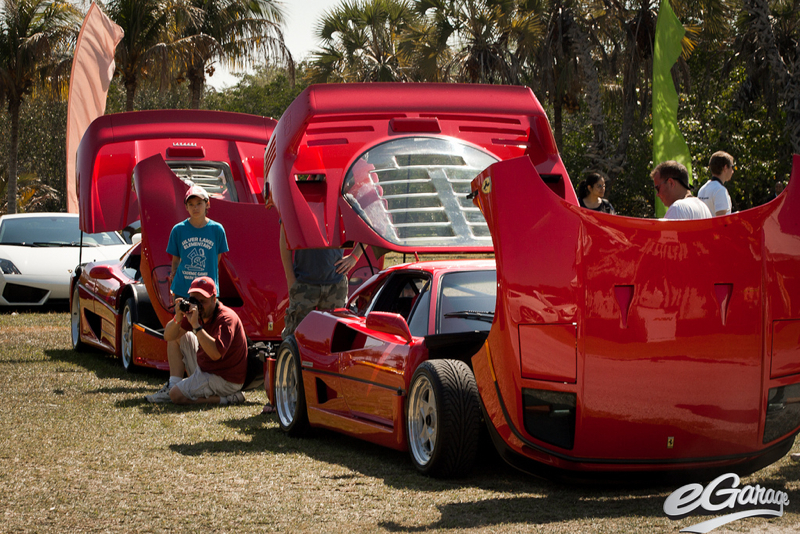 (Miami FL) It’s not uncommon that we find car shows to participate in but it takes a special event to warrant shipping cars across the country. John Temerian founded Supercar Experience (SCX) 6 years ago and Nic and I have both attended as enthusiastic spectators in previous years. This year, to commemorate the launch of the eGarage concept, we decided to step it up a notch and send a few cars waving eG livery. SCX spanned two days this year, the first being for those wanting to “show” and the second being for those wanting to “go”. 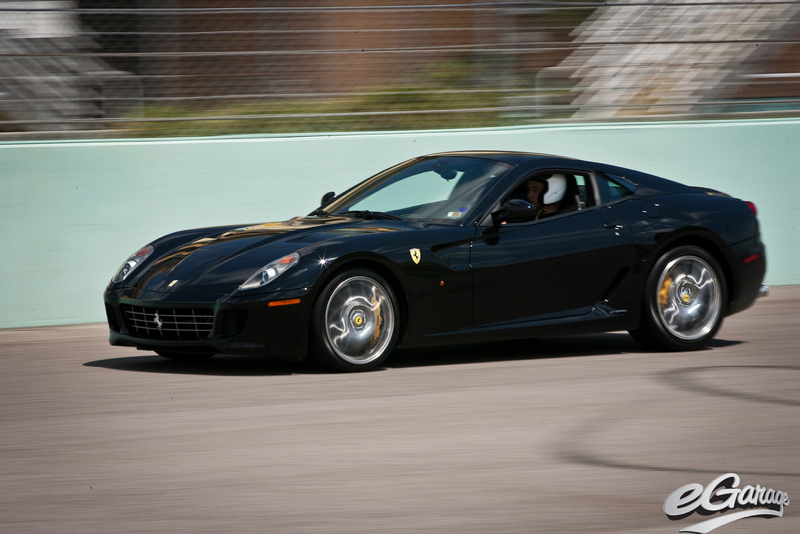 I had just taken delivery of three cars that I knew would be right at home, not only at a show meant for supercars, but also for the track event at Homestead Speedway. 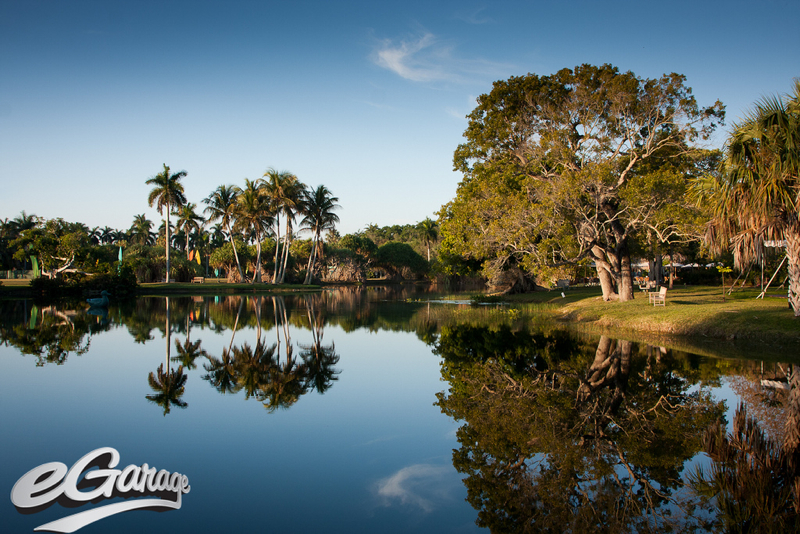 Saturday’s setting in the Fairchild Botanic gardens made for a gorgeous venue to enjoy an early summer Florida afternoon. The show allowed us to see some east coast friends, meet new collectors and enthusiasts, and show off the latest additions to the eGarage collection. 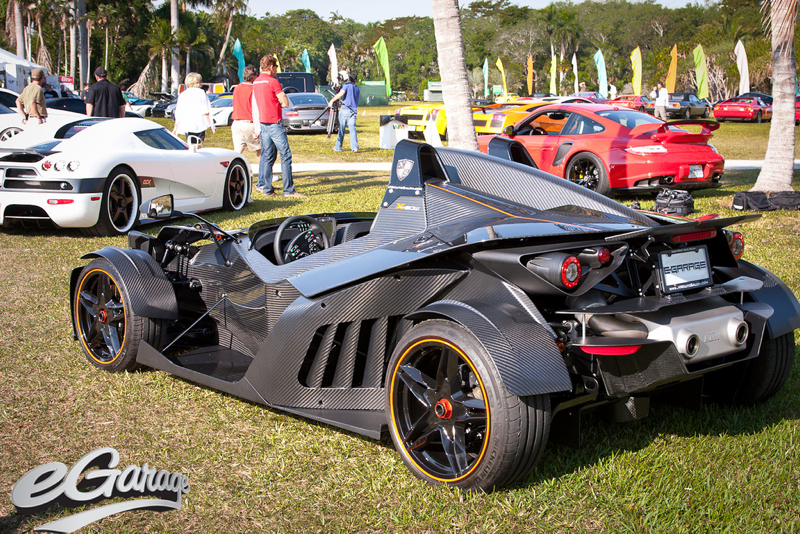 The last Ultimate Aero from Shelby Supercars and the freshly wrapped matte white Koenigsegg were big hits while the all carbon, street-fighter, KTM XBow had many people scratching their heads. One of the inevitable questions asked regarding the rare/exotic cars is “Is that thing street legal?” or “Is that any fun to drive on the street?”. My favorite thing to do in my cars is to drive to a track day, thrash about for a few hours, then drive home. In this case driving 3000 miles for one weekend seemed a little excessive. 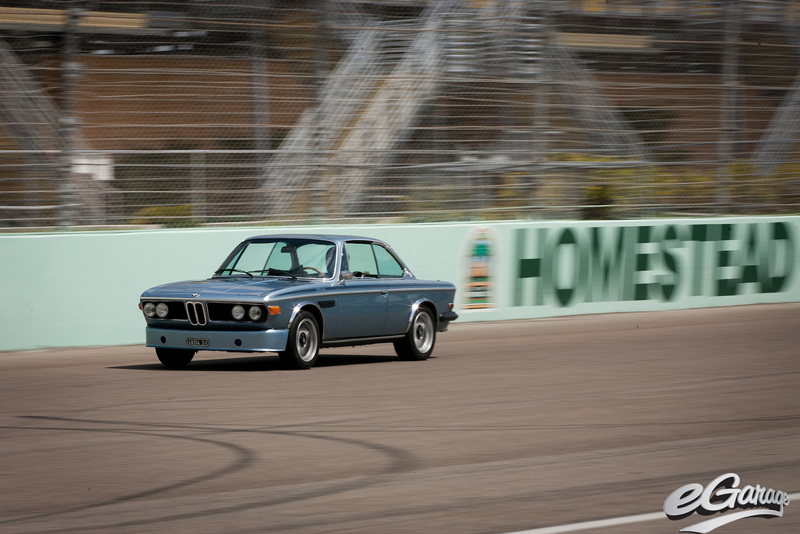 But we were incredibly excited to have the track available to us at Homestead on Sunday. While the other SCX participants were inside eating their lunch, Nic and I got to have some fun in a safe, controlled environment. The Koenigsegg impressed as an all-around, uber capable performer while the Ultimate Aero was simply not satisfied with the amount of tarmac available. While the Swede’s supercharged power makes it shine throughout the gears, the Aero’s 1287 horses reminded me that it’s purpose built for long stretches (noteworthy that the Aero was basically brand new with street pads and fluids). The XBow, although definitely in the top tier for design and fit/finish, was simply not in the same power class as the two rocketships. The Austrian anomaly would have its chance to shine in a later eGarage segment against the Ariel Atom, a more fitting comparison. We certainly hope that you enjoy the footage from the weekend. Rest assured, whenever experiences like SCX present themselves, you can bet eGarage will be there. And don’t worry we’ll leave the camera on until the batteries die. It’d be downright selfish to keep all the fun to ourselves.